Mt. Laurel Township Emergency Medical Services held their annual 2014 Awards and Recognition Program on Saturday, May 17, at 6 p.m. at the “The Venue at Lenola”, in Moorestown. Over 150 members and invited guest attended this year’s program. The awards and recognition program honors both volunteer and career EMS Personnel for their accomplishments in calendar year 2013. This year’s program also celebrated the 20th Anniversary of MLEMS, Inc. the voluntary non-profit of Mt. Laurel Township EMS. 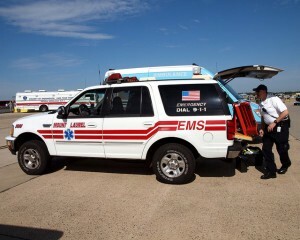 The timing of this event is appropriate as May 18 through May 24 is National EMS Week. This year’s theme is “EMS Dedicated for Life”.